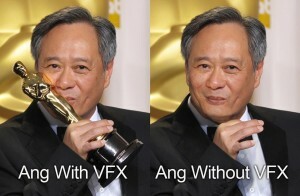 The VFX world is rumbling. After years of enduring impossible deadlines, hours, and too often blatant nonpayment, Life of Pi’s VFX Oscar win was the final irony: the studio responsible for the award-winning effects is in bankruptcy. And if it wasn’t bad enough, the barest mention of the situation got the winner played off in the cheapest style. And others decided to bring the point home in a more generalized way. But twitter-snark aside, there is starting to be talk of a strike. Will it go anywhere? Desperate workers are often not desperate enough to risk being blackballed, but I think we might have reached the point where they feel they have nothing left to lose.